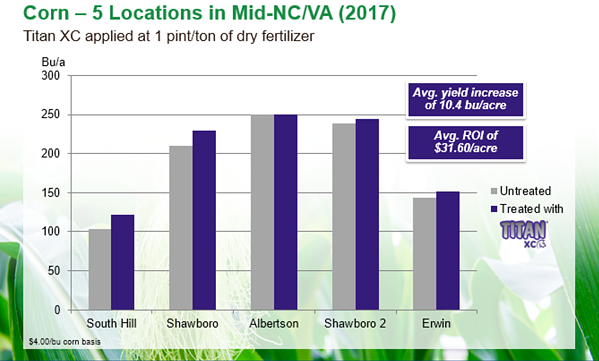 Corn trials conducted at five locations in the mid-North Carolina and Virginia region showed an average yield increase of 10.4 bushels/acre with Titan XC-treated dry fertilizer compared to untreated, with an average ROI of $31.60/acre. 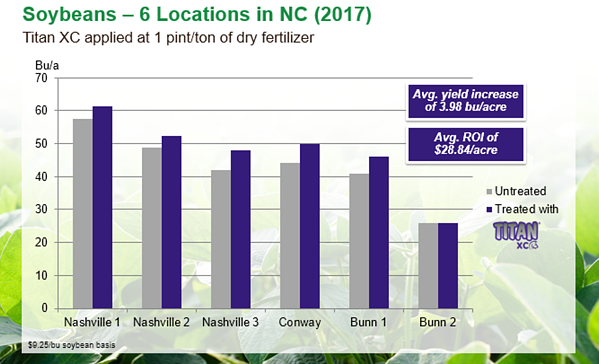 Finally, soybean trials conducted at six locations in North Carolina demonstrated an average yield increase of 3.98 bushels/acre when Titan XC-treated fertilizer was used, with an average ROI of $28.84/acre. 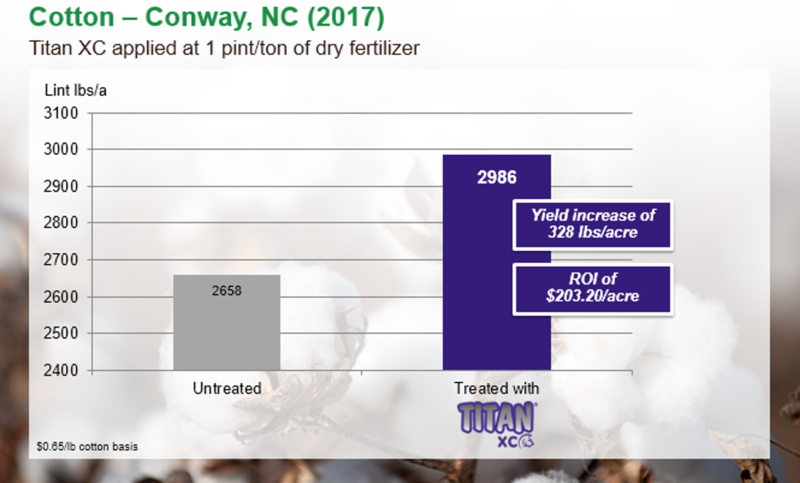 Learn more about using Titan XC as an agronomic tool in your dry fertilizer program by viewing our Titan XC featured studies.